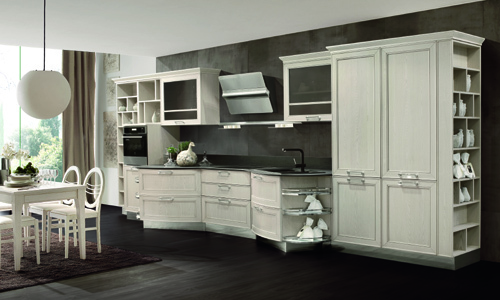 The Italian designers have quite a reputation, when it comes to timeless classic kitchen designs and styles. 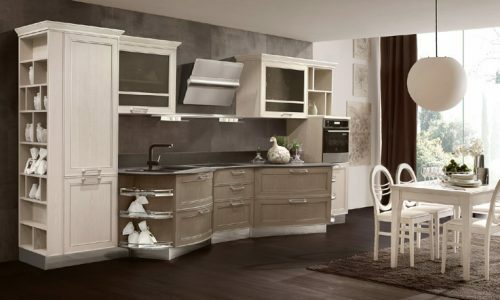 However, we have to say that based on our almost two decades long experience of working shoulder-to-shoulder with some of the most prestigious European designers in this field, the Italian “school” of design definitely knows how to impress you with both traditional and contemporary kitchen designs. Since 1999, Eurolife has supported Aussie homeowners in their wishes to install a kitchen, which is both eye-catching and efficient, with our innovative ideas, top quality materials, and unreserved support. You’ve rewarded our efforts with your inspirational loyalty and unconditional trust. We’ve more than pleased that our offer of contemporary kitchen designs has found itself a fruitful ground in Sydney, Australia. Some of the well-known Italian brands, such as Presotto Italia and Stosa Cucine, have established a remarkable fan base among demanding, but rewarding Aussie customers. Eurolife team truly understands that implementing a contemporary kitchen design in your home can be a double-edged sword. On the one side, you’re eager to ensure that your kitchen elements and appliances perfectly correspond with the latest trends and technological innovations. While on the other side, you’ve every reason to be concerned about the budget, which is required to closely follow all of your ideas and desires. We don’t even have to mention the overwhelming fear that at some point in time, much sooner than you expect or plan it, your contemporary design is going to look outdated to you. Introducing a contemporary kitchen design into your home can be an intriguing and inspirational task. You’ve a greater freedom to experiment and make the bold design choice compared to the traditional kitchen styles. Nevertheless, this doesn’t necessarily mean that you can handle this time and money consuming task entirely on your own. Our team is at your disposal. You shouldn’t hesitate to share both your concerns and ideas with us. We tend to include modern designs with simple, but effective practical solutions. Each of our design team members and contributors has a proven track record of successful advisory work in this field. They will ensure that your modern kitchen design comes with a personal mark of your home and recognizable style. Nowadays, the overwhelming majority of contemporary design solutions treats your kitchen as a puzzle where all elements have only one purpose to fill out the available space. On the contrary, Eurolife team treats each and any customer’s idea and requirement as a unique case, which demands an individual approach with the full consideration of modern home structure and your budget, as well. Your contemporary kitchen design has to look so fresh and appealing that your friends can’t help themselves asking you, when you just came back from a long trip in Italy, Europe. Your journey into the promising and inspirational world of contemporary kitchen design begins right now with the Eurolife team.